In this brilliant jewel of a book, the best-selling author of Tao Te Ching: A New English Version expands and deepens the classic fairy tale in the most surprising and delightful ways, giving new emphasis to its message of the transcendent power of love. 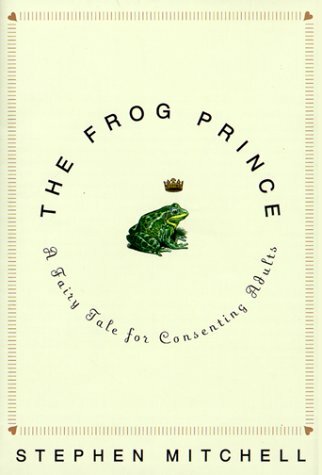 The Frog Prince tells the story of a meditative frog's love for a rebellious princess, how she came to love him in spite of herself, and how her refusal to compromise helped him become who he truly was. This is a magical book that moves (amphibiously) from story to meditation and back, from the outrageous to the philosophical to the silly to the sublime. Profound, touching, written in prose as lively and unpredictable as a dream, The Frog Prince tickles the mind, opens the heart, and holds up a mirror to the soul. Interesting retelling of the fairy tale. We get to see more of the Princess' and Frog's inner thoughts through the journey. I like the idea of teaching life philosophy through fairy tales. They are the easiest to understand. We can explore deeper meanings through classic well-known stories. The slim novella only took me an hour to read and yet I feel like I could spend many more hours contemplating the messages included. I don't have much else to add. I like it. I want to read more fairy tales/reinterpretations/philosophy stories. I really should add some more to my TBR list. Side note: Listening to Dave Matthews and Tim Reynolds while listening was a good choice. Soothing acoustic music set the mood for this books.